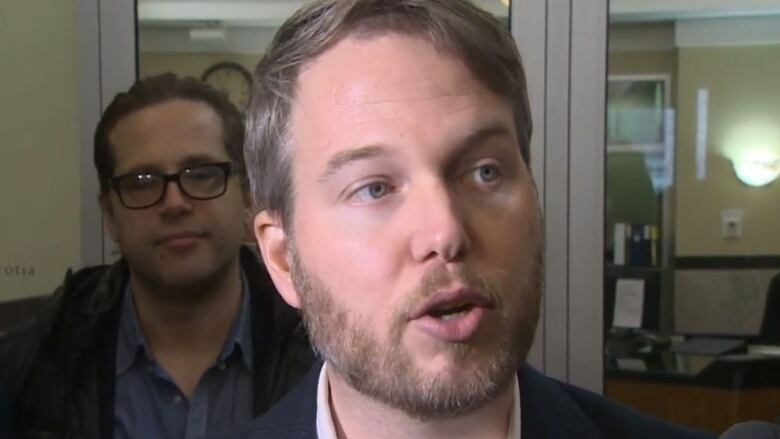 Nova Scotia's government has struck an agreement with members of the province's film industry over the planned cuts to the film tax credit, the two sides announced Thursday. Officials with the Department of Finance met with industry members on Thursday for the fourth session of head-to-head talks in about a week. 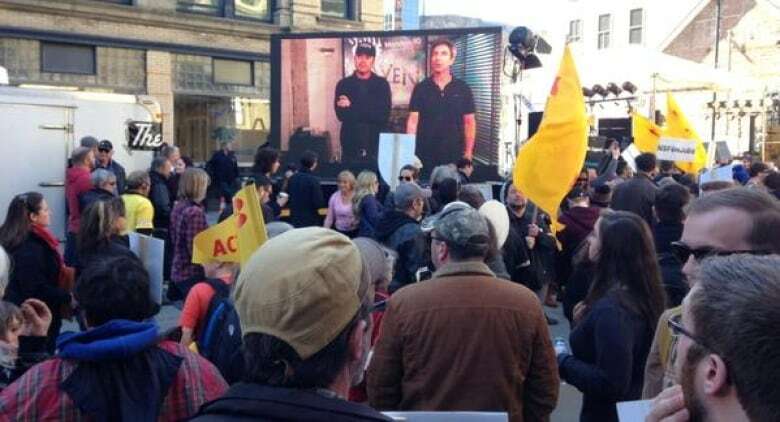 Marc Almon, chairman of Screen Nova Scotia, announced the new agreement after the meeting broke up at 2:30 p.m.
"Today there's been a general consensus and agreement on basically a new system for what is now an incentive for filming here in Nova Scotia and film production," he said. "There's still a lot of details to be worked out, but basically the system will be moving to a Nova Scotia all-spend model that we feel will allow for many projects to remain competitive with other jurisdictions in the country." That model means the focus is now on the total amount of money spent in Nova Scotia and using the incentives to encourage production in the province, he said. The deal will replace the existing tax credit with a 25 per cent incentive on all spending for production in the province, plus up to five per cent more in incentives for work involving rural locations and series. "The key difference is that it's not a labour-based tax credit. It's an incentive fund based on the amount of money that's spent in Nova Scotia, on Nova Scotia," Almon said. Scott Simpson, vice-president of Screen Nova Scotia added, "It keeps us in business." "On budget day, we were not in business. Today, we feel we are," he said. "We will be able to maintain the industry to a certain extent to go forward with a number of productions, to attract other productions." Simpson said they still have some concerns. "There's a lot of elements to it and some we endorse and some we don't. There are some concerns and as we've said before, our industry is diverse," he said. Finance Minister Diana Whalen said she's "pleased" with the agreement. "We have said all along that we value this industry and want to see it remain in Nova Scotia," said Whalen. "I am pleased we have been able to work together to find common ground that respects the fiscal challenges facing Nova Scotia and also supports the film and television production industry in the province. The proposed arrangement stays within the fiscal plan announced on budget day." Film representatives say the new production incentive agreement is a better deal than the one in the budget. Separate negotiations continue on Friday for the animation industry. The newly proposed Nova Scotia Film and Television Production Incentive Fund will take effect July 1. The province will provide funding for screen-based content creation through the fund. Eligible organizations must have a permanent establishment in the province and will receive support for projects done here. It will have two streams. Stream 1 will offer an indigenous/co-production base funding of 25 per cent of all eligible Nova Scotia costs. Stream 2 will offer a base funding of 25 per cent for foreign/service productions for all eligible Nova Scotia costs. That could rise to 30 per cent if certain conditions are met. Carpenters, painters, electricians and other required trades. Studio facility rental such as cameras, generators, cranes and scaffolding. Nova Scotia Business Inc. will administer the fund. Now let's get back to the business of Show Business &amp; ensuring that Nova Scotia remains a place we want to stay, raise our kids &amp; grow old.